Are BPA-Free Plastics Any Safer? Some plastics leach chemicals that are dangerous to developing fetuses and children. Maybe you've noticed the words "BPA-free" on the packaging of plastic products like sippy cups and Tupperware. Studies have linked the chemical BPA, or Bisphenol A, to a host of health problems, particularly in pregnant women and their infants. But lab tests by the Oakland-based advocacy group Center for Environmental Health, have found that the chemicals used to replace BPA may be just as harmful. In 2008, Blake explained, there was a "BPA panic." "The public suddenly became very aware of the fact that BPA was potentially harmful," Blake said. "Around that time, many manufacturers began moving away from BPA products." U.S. law doesn't require a chemical be proven safe before it goes on the market; a chemical is presumed safe until proven otherwise. 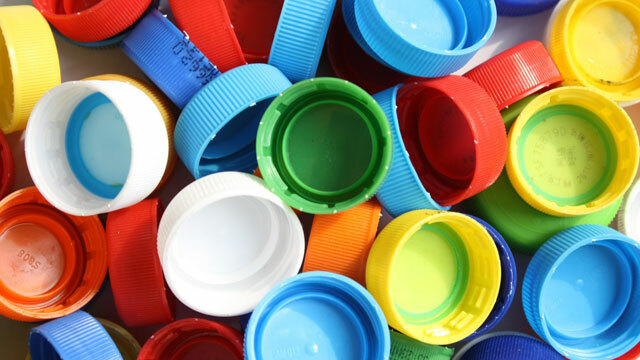 Nonetheless, given the public furor, manufacturers began replacing BPA with other kinds of plastics, including one called Tritan, manufactured by Eastman Chemical. "This was the plastic to use if you wanted a truly safe product," Blake said. But recent tests by the Center for Environmental Health show Tritan is not so safe, after all. The Center sent 18 sippy cups to CertiChem Inc., in Austin, Texas, for testing. The lab found detectable estrogenic activity in chemicals leaching from five of the products, including products containing Tritan. Scientists with CertiChem, Georgetown University and the University of Texas, had already published a National Institutes of Health-funded study in 2011, testing estrogen exposure from a wide range of plastics, including baby bottles and other products advertised as BPA-free. "In some cases," the researchers reported, "BPA-free products released chemicals having more EA [estrogenic activity] than did BPA-containing products." Eastman sued CertiChem Inc., to prevent it from publicizing the findings. On its website, Eastman stands by the safety of Tritan. And the American Chemical Council, a plastics industry group, questions if there is even any danger in BPA. "Many government bodies around the world have evaluated the scientific evidence on BPA and have declared it safe as used in food contact materials," the American Chemical Council said in a statement released Tuesday. And it called attention to a recent FDA study that found rats weren't harmed by BPA. Blake isn't so sure about that. "I'm actually working on a story about that study now," she said. "There are a couple of issues that raise questions about its findings." When it comes to BPA and possibly other endocrine-disrupting chemicals, Blake said, there is no known safe dose. "Unlike other kinds of chemicals, it's not like they're only harmful when you reach a certain threshold," she said. "The scientists I've spoken to who study this chemical say there is no safe level of exposure. Any level of exposure is potentially harmful, especially for young children and developing fetuses." But she acknowledged, it's hard to go plastic-free in our plastic world. "It's a difficult situation because plastic is so ubiquitous and the available evidence suggests that there is no surefire way to avoid exposure as long as you're using plastics," she said.